Can You Use Candy Melts to Stencil a Fondant Cake? 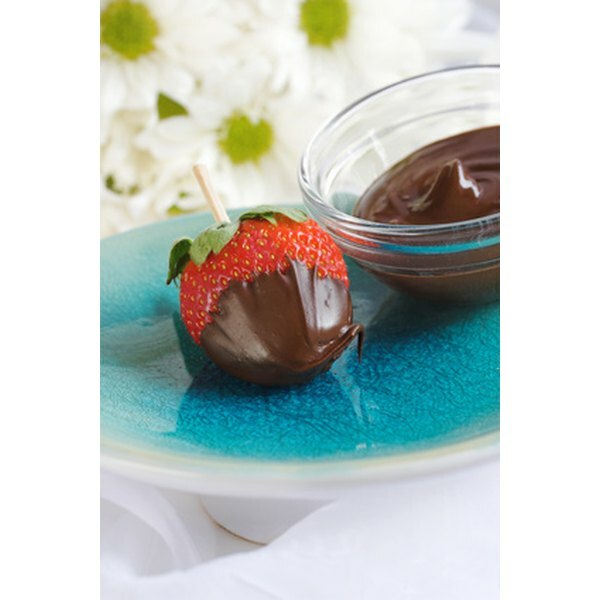 The double boiler method is ideal for melting chocolate. 2 Can You Use Candy Melts to Stencil a Fondant Cake? Melting Hershey's chocolate takes patience and effort. If you try to melt it too fast, or at temperatures above 115 degrees, you might scold the chocolate and turn it into a grainy mess. The best way to melt Hershey's chocolate is with a double boiler. This method keeps the chocolate away from the burner and lets it melt slower than if it were placed directly on the burner. Chop the Hershey's chocolate into small pieces using a sharp knife. This will help the chocolate melt faster. Set the chocolate aside for later use. Fill the bottom pot of the double boiler with an inch of water. Place the bottom pot of the double boiler onto the stove. Set the burner to low heat and bring the water to a boil. Add the chocolate to the top of the double boiler. The top part of the boiler is a bit smaller so it will fit snug onto the bottom. Place the top part of the boiler onto the bottom making sure the chocolate does not touch the water. Stir the chocolate continuously with a mixing spoon. Continue to stir until the chocolate is completely melted. This process will take some time but the chocolate will be smooth and creamy once melted. Do not melt the chocolate on any stove setting other than low. 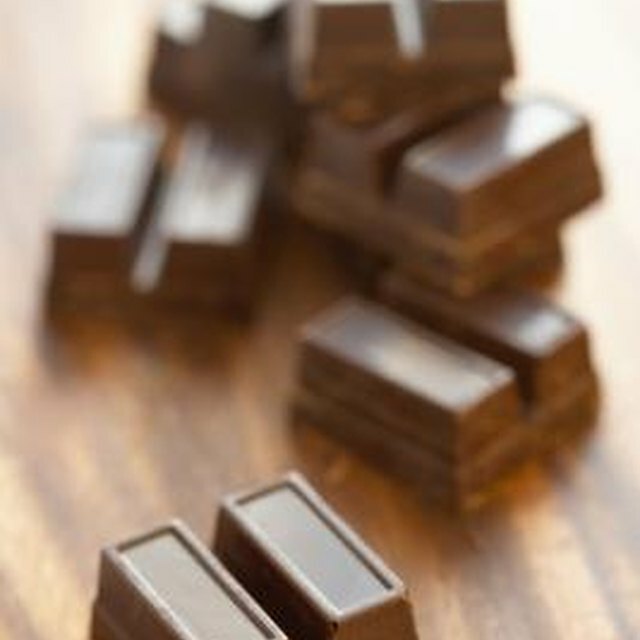 Using medium or high heat can scorch the chocolate and give it a burnt taste. Be patient when mixing chocolate. The process might take a while to achieve the desired consistency. Make sure no water gets into the chocolate while melting it. Keep hands and arms away from stove top when the burners are on to prevent burns.